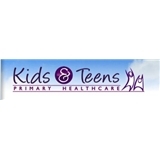 Kids and Teens Primary Healthcare (Decatur) - Book Appointment Online! Please choose appointment type when scheduling. Dr. Byron C. Cotton has provided medical care for children and families in Alabama and Georgia for over 20 years. He is a native of Headland, Alabama. Dr. Cotton obtained a bachelors of science from Bethune-Cookman in 1978 and earned his medical degree from Meharry Medical College in 1985. He completed his residency in Pediatrics at Henry Ford Hospital in Michigan and received a fellowship in Adolescent Medicine from the University of Alabama; during which time he was awarded the CMFDP Postdoctoral Fellowship Award. He has been voted as one of "Atlanta's Top Doctors" in Atlanta Magazine from 2009 through 2017. Gayla Woodson, NP, a native of Atlanta, earned her Masters of Science in Nursing from Georgia State University. She is board-certified by the National Association of Pediatric Nurse Practitioners and a member of Sigma Theta Tau.